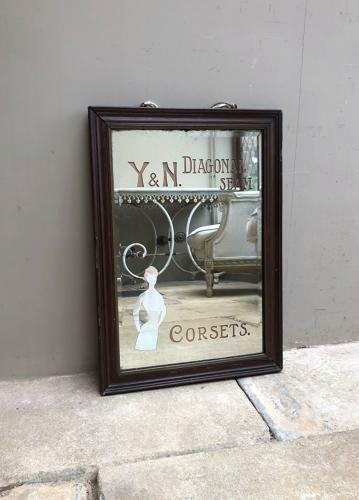 Completely Original Very Heavy Edwardian Shops Advertising Mirror for "Y & N DIAGONAL SEAM CORSETS". Some light foxing as expected on the glass - the frame does its job but has some cracks. Original backing boards & nails. See all the photographs.